With the rental car from the price comparison you can enjoy your holiday in Sharm el Sheikh excellently. This is the only way to be able to travel independently in the Egyptian city by the sea and make all the sights and excursions you want. In price comparison, you can compare car rental deals and choose the cheapest offer quickly and easily. Experience Sharm el Sheikh independently with the rental car! 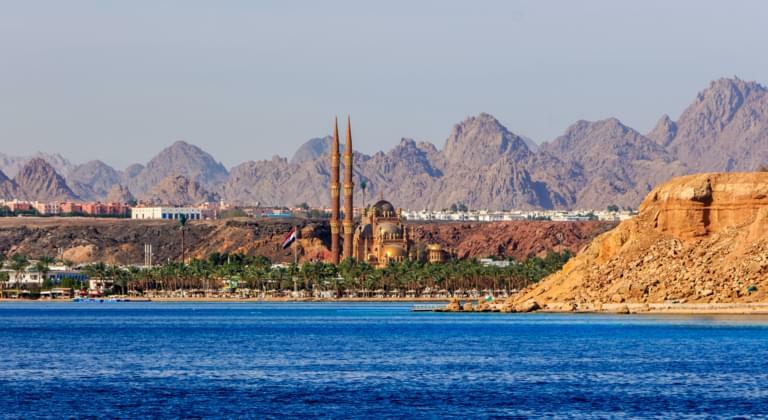 Sharm El Sheikh is known for the imposing mountain scenery of the Sinai and the crystal clear, warm waters of the Red Sea. It is one of the most popular holiday destinations in the world. Simply hire a rental car via Driveboo and explore the country's millennia-old culture. Sharm El Sheikh is considered to be the most chic holiday resort in Egypt. There you'll find the dream beach of Na' ama Bay, beautiful dive sites, an inviting pedestrian zone and elegant hotels. A day trip to Hurghada, the tourist stronghold of Egypt, can be arranged with your rental car. El Gouna can also be easily reached by rental car. Lonely desert stretches, soft dunes, beautiful sunsets and intact coral reefs with a variety of colourful fish await you on your shore leave in and around Sharm El Sheikh. The city is a popular holiday destination on the southern tip of the Sinai peninsula. Look forward to warm water temperatures all year round and enjoy a relaxing day on the beach or stroll around the lively town and walk to the most beautiful sights on foot. The trip to Ras Mohammed, Egypt's most beautiful reef with its colourful underwater world and a multitude of mangrove trees, only takes 20 minutes - a must for all water sports enthusiasts. If you prefer to feel the solid ground under your feet, you can also set off on a quart tour through the desert to the Bedouins and enjoy the famous Habbak tea brewed from a desert herb that grows only in the desert.